This article is written by Derek Wood, my friend, who is a resident of Sydney Australia. His plea to our country is based on the following: In 1996, Australia experienced a horrible mass casualty shooting at Port Arthur, Tasmania. Afterwards, Prime Minister John Howard’s government moved quickly to tighten Australia’s gun laws and instituted a mandatory federal buy-back program designed to remove banned guns from private ownership. 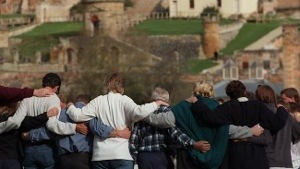 In the years prior to Port Arthur, Australia experienced several mass casualty shootings. There have been none since. It was a sunny Sunday afternoon in Sydney way back on 28th April 1996. I was making my way to the local gym as, in those days, I was a regular gym junkie. 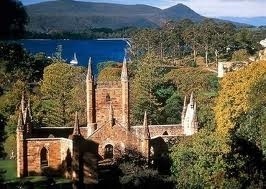 Just before I left my home, I heard on the radio that a gunman had been on a killing spree in Tasmania. At that stage only a small number of people had lost their lives. When I got to the gym, the number of deaths had risen to 23. I mentioned this to my gym instructor. His response was that it was the gunman’s form “of self-expression”. The instructor was reading the Celestine Prophecy at the time, which probably explained his comments. I personally preferred the term “madman”. The gunman was named Martin Bryant and the final death toll was 35. The whole of Australia was in shock. How could anyone kill 35 innocent people? There was an outpouring of disbelief and anger. How could we stop this from happening again? Before, I go any further, I need to give some background information. Australia is very similar to the United States. Both are large countries, both were built from migrants, both have large agricultural areas and culturally we are very similar. Naturally, we speak the same language – well sort of! Guns in Australia are typically kept in the large rural areas. Farmers need to be on alert for scavengers of the animal kind, especially foxes. Although in parts of the country snakes and crocodiles can also be a problem. John Howard had to act, and act fast. He introduced strict gun laws into Parliament. This had bi-partisan support of the opposition Labor Party led by Kim Beasley. The new gun controls had to also be made law via the State and Territory Parliaments. Initially Queensland and Tasmania were against tightened gun control. A number of citizens were outraged at the new laws. This outrage was fueled by the support of the Christian Coalition and the US National Rifle Association! Finally, the new gun controls were made law Australia wide after a lot of intense debate. In addition, the Federal Government implemented a 12 month amnesty/buyback scheme to allow people to hand in any illegal firearm without running the risk of prosecution. Amazingly, 643,000 firearms were handed in at a cost of $350M. Since that fateful day in 1996, Australia has not had any gun related massacres.Since the laws were established, it is now extremely hard to buy a rifle or indeed any gun. A number of valid reasons and references need to be supplied before a gun can be sold. Naturally, if there is a genuine reason to have a gun, and the person appears mentally stable, then they will be able to purchase one, subject to State and Territory requirements. It is safe to say that John Howard’s tough stance has paid dividends. Since that fateful day in 1996, Australia has not had any gun related massacres. I mention the above purely to give any reader from the United States an idea of how gun control can be implemented. Naturally, all Australians were shocked at the Sandy Hook school massacre in Newtown. I have two daughters aged 9 and 10 and I certainly felt shock and sadness, especially as it happened so close to Christmas, the time of family gatherings. I feel for the parents who lost their children and the families of all those that were killed in the shooting. The US has to tighten up its gun laws immediately. It is the only way to go, and also to restore faith with the public. Not only does Barack Obama need to act decisively, it also requires the GOP and others to support any proposed law changes. The good old days of “gun toting” are over. Let’s logically move on and ensure that our children and innocent bystanders are not used as “shooting practice” by a madman. Finally, do not underestimate the rest of the world’s opinion towards the US and its lax gun laws. I can virtually guarantee you that the feeling of most people is that the US gun laws are a complete joke. It is now up to the United States to ensure that the joke comes to an end. It sounds that Australians were fortunate that neither of their parties was run by mental patients. We’re not so lucky here. I support major gun reform. But I have no hope or anticipation for more than lip service. Even hunters put a wooden stick, called a plug, to limit shotguns to 3 shells. That is hunting quail and dove. It is a matter of fairness. Not considered sportsman like to not use the plug. But hunting humans we allow assault weapons and 100 plus capacity clips, How sick can we be? It has to get better sometime. 1.) how’s the violent crime rate doing there 😉 ? 2.) the military calls them ‘small arms’, not assault rifles – which you use solely for dramatic reasons. 4.) approx. 8 million guns are in La,California Alone … I know, the nice criminals will feel bad and turn them over – huh ? 6.) more than 6,000 people are saved per day in the US by a gun in one way or another … I guess we should just make them all victims – huh? 9.) everyone speaking out about the guns over here, is a complete hypocrite. They either carry, have, or have bodyguards that carry… And they will not give up any which of the three. 13.) we’ll stop here for now … Lead By Example!! Make the White House a ‘gun free zone’ … You know, to keep them safe.